Welcome to Morning Star Missionary Baptist Church! What a wonderful opportunity God has afforded me to welcome you in the name of Jesus Christ, to our congregational website. I thank God for the medium of the internet to further promote His Word and His Kingdom here on earth. It is our hope that if you are moving to the Valdosta or South Georgia area or will be visiting our area soon, we pray you will come and worship with us. Thank you for this brief time that we have shared in His Name. View a full list of our events. What To Do When Stop By Law Enforcement? Spreading the Gospel of Our Lord and Savior Jesus Christ throughout the World in Word and in Deed. We welcome you to join us for our worship services. 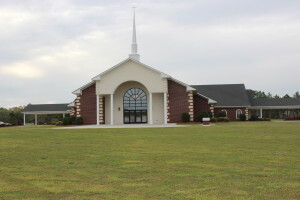 Morning Star Missionary Baptist Church is located at 1051 Howell Rd in Valdosta, GA. We hold early worship service every first through fourth Sunday at 11 a.m. and every fifth Sunday at 8 a.m. We also have several opportunities throughout the week to worship and fellowship. We appreciate you taking the time to visit our site. You are also welcome to join us for worship service each and every Sunday or during the week. Until next time, God bless!